We are thrilled to have the mutiple gold medal award winning Royce Ferguson as our director! Royce joined the San Diego Chapter of the Barbershop Harmony Society (BHS) in 1988 with his high school quartet, Barbershoppers Anonymous. After joining the Society they quickly became Southern California Novice Quartet Champions. Royce also sang in other chapter quartets, including Far Western District finalist, Cahoots. Royce earned two music degrees with Honors from Southwestern College and studied Jazz Performance / Choral Conducting at San Diego State University before moving to Cupertino, CA to work as a Multimedia Quality Assurance Engineer for Apple Computer, Inc.
After returning to San Diego in 1995, Royce directed the Sun Harbor Chorus, worked as a Network Administrator at Synergy Microsystems. That same year (1995) Royce sang tenor in Revival who became our 1998 International Gold Medal Quartet Champion. In 1999, Royce founded the men’s ensemble Royce’s Voices established through the SDSU Community Music School program. Royce became the founding music director of the Westminster Chorus starting in January of 2005. Royce directed this acclaimed group to a silver medal at the Indianapolis International, and on to a gold medal Chorus Championship the following year at the BHS International Competition held in Denver, CO in July, 2007. Royce has also won championships singing as a member of the Masters of Harmony in 2002 and 2011 and earned a silver medal with the group in Las Vegas, NV in July, 2014. Currently Royce enjoys singing in his quartet, North of the Border, and he is in high demand as a vocal coach – often traveling across the US and Europe in this role. 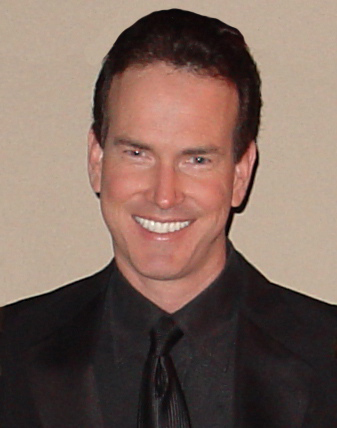 He has taught at various choral clinics, regional schools, and at the BHS Harmony University, including courses in advanced vocal techniques, director training, and facilitating a director’s chorus experience. He is a certified trainer for the Chorus Director Workshop Intensive (CDWI) program and is the current co-director of Chorus Director Development with Dr. Greg Lyne for the Far Western District (BHS).